You choose the neighborhoods you want to reach; Valpak of Northwest Washington will design a professionally printed piece based on your needs: standard or cardstock insert, circular, coupon booklet or solo direct mailing. When you’re ready to take your Internet presence to the next level, talk to Valpak of Northwest Washington about our digital packages. We can create a business profile page or an entire website for your business. As a Google Premier Partner, Valpak is uniquely qualified to optimize your digital presence. It’s also easy to track your return on investment with Valpak. Our call tracking and performance dashboard tools measure the quantity and quality of engagement with your printed piece. Get the proof of performance and user information you need to stay ahead of the competition. Contact Valpak of Northwest Washington to advertise to households in Bellingham, Marysville, Mount Vernon, Oak Harbor, Arlington, Anacortes and other WA cities in the area. For specific dates and coverage, contact your Valpak of Northwest Washington representative. 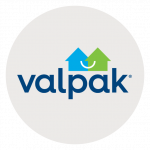 Valpak of Western Washington is an independently owned Valpak franchise.